Limpsfield Chart & Crockham Hill. The pretty villages of Limpsfield Chart and Crockham Hill (just over the Kent Border) offer a rural idyll on the doorstep of great swathes of National Trust woodland. Connected by an old Roman road, Limpsfield Chart and Crockham Hill lie in between Oxted and Edenbridge. Limpsfield Chart looks out over the Weald towards the South Downs, while Crockham Hill is on the slopes of the Eden Valley. Both small, rural communities they sit either side of the Kent border, with Crockham Hill being in the Sevenoaks district and Limpsfield Chart in Tandridge. Each has a popular pub forming the heart of these two tight-knit communities. Owned and maintained by the National Trust, the Common is an extensive network of footpaths and bridleways through patches of open heathland and large areas of woodland. It encompasses the hamlet of Limpsfield Chart. 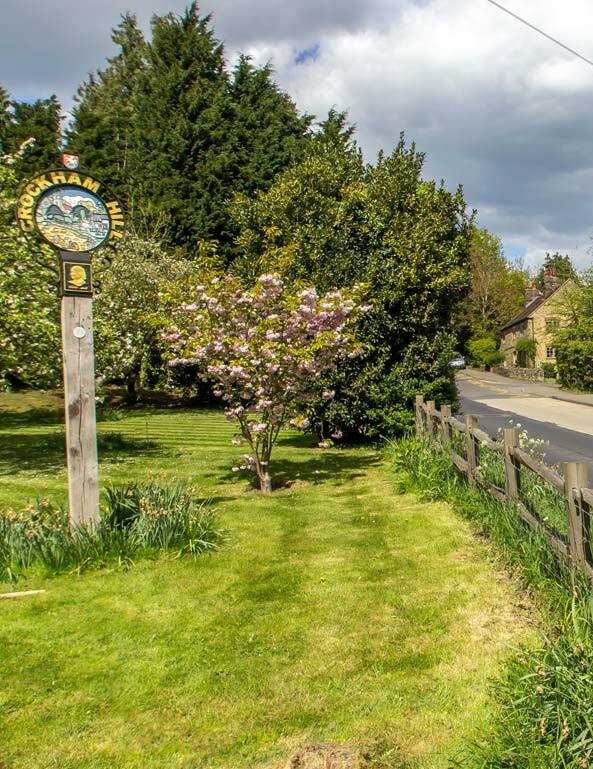 Whether walking, running, cycling, picnicking or Mother Nature are your thing, this is the perfect place to enjoy glorious fresh air on the edge of the Greensand ridge. Straddling the Kent Hatch Road (B269). Found on the outskirts of Crockham Hill and half way to Westerham, the former home of Sir Winston Churchill is a popular destination for visitors wishing to sample the former prime minister’s house and gardens, now looked after by the National Trust. Both inside the magnificent house and the extensive gardens, there is much to do and see for both adults and children. Taking place every November is this fantastic night of fireworks, torch lit procession, children’s fancy dress and a bonfire. And it’s free! Whilst 5 miles from Crockham Hill, this magnificent castle deserves a mention. Once the childhood home of Anne Boleyn the romantic moated 13th century Hever Castle oozes 700 years of history and boasts award-winning gardens. There is much to squeeze into a day’s visit and the children can enjoy watching the jousting and try their hand at the archery and shield painting.